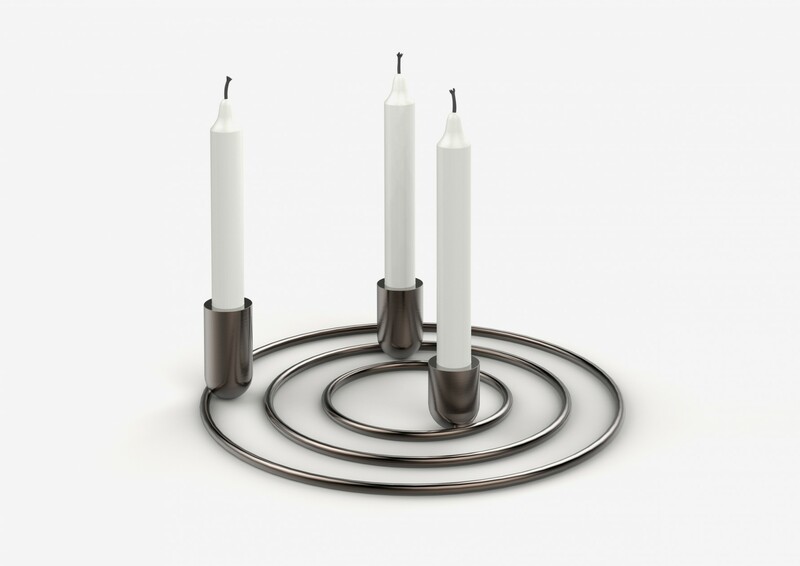 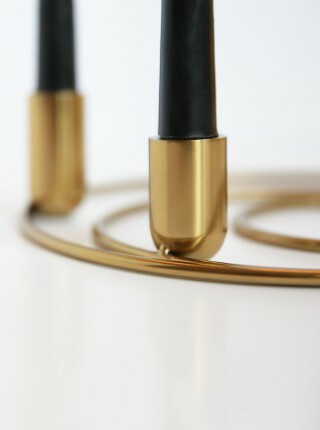 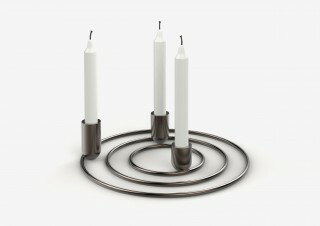 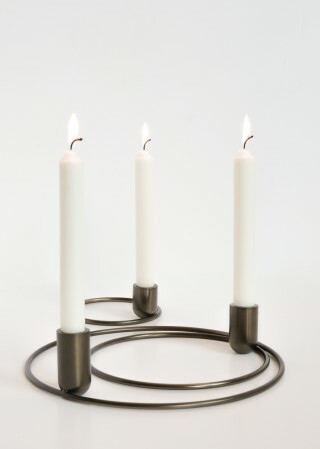 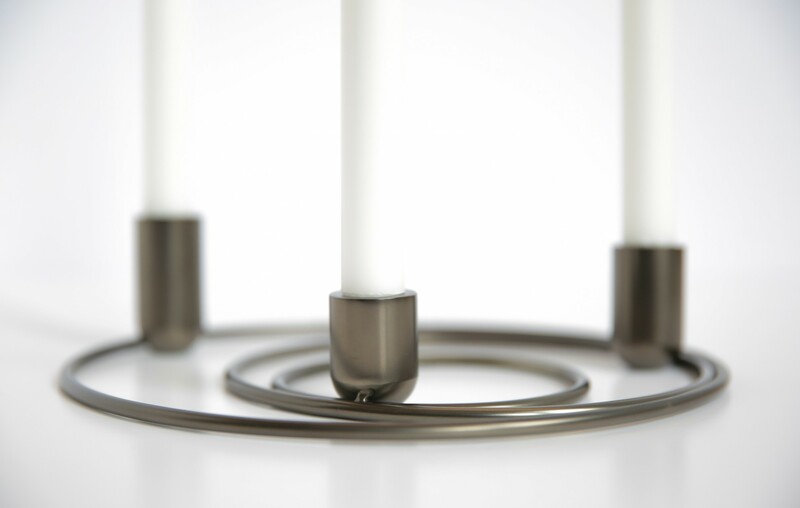 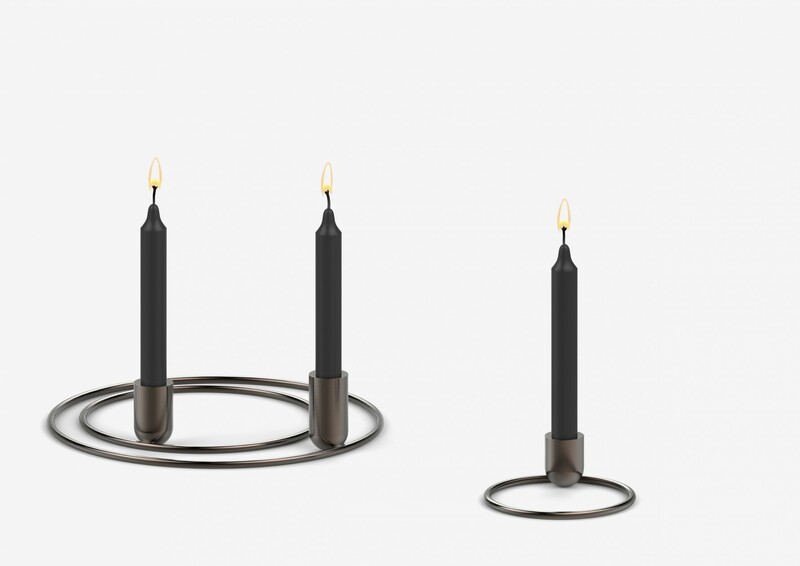 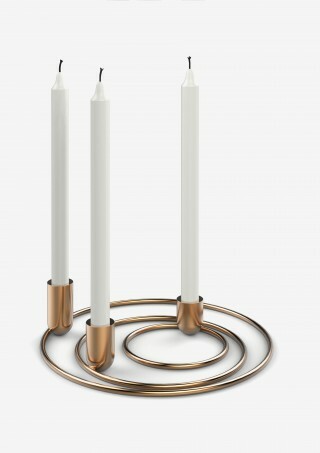 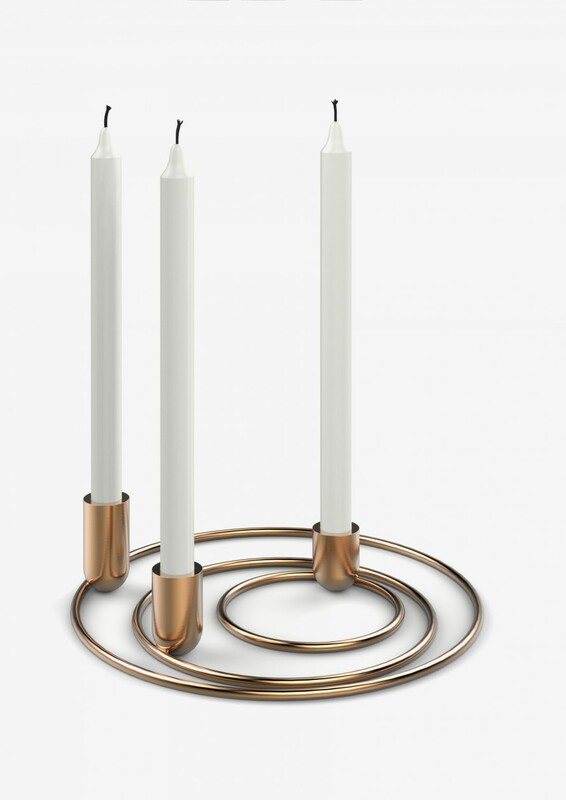 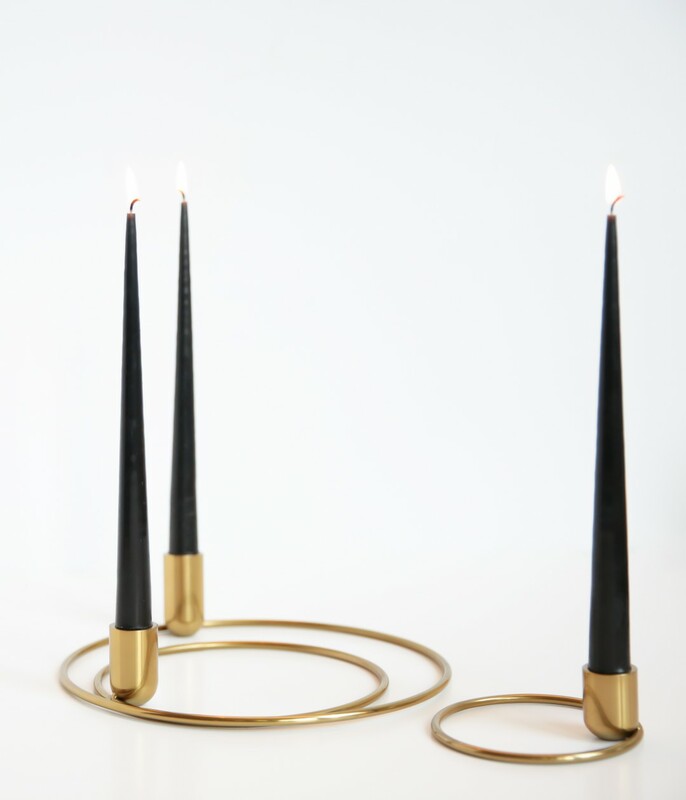 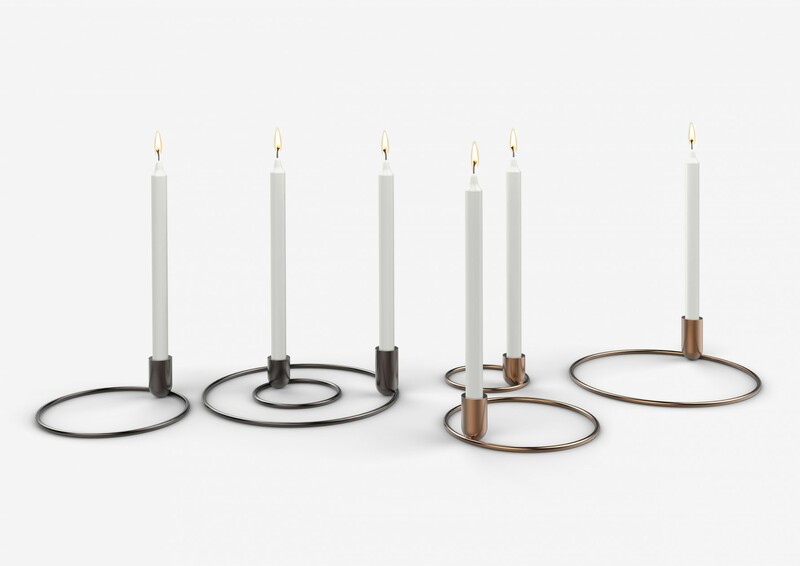 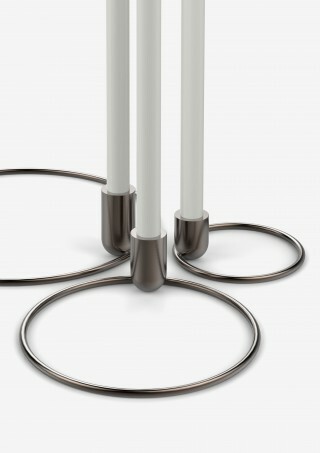 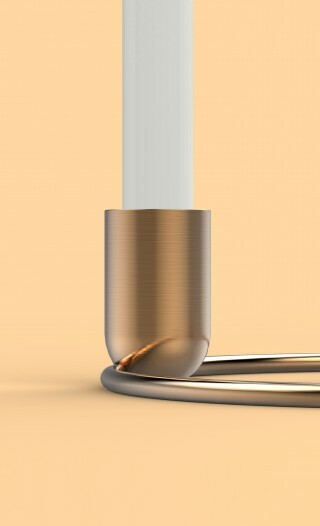 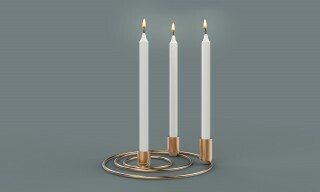 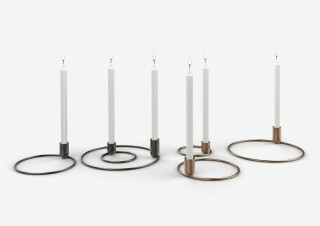 The “Orbital” candleholder collection is inspired by movement. 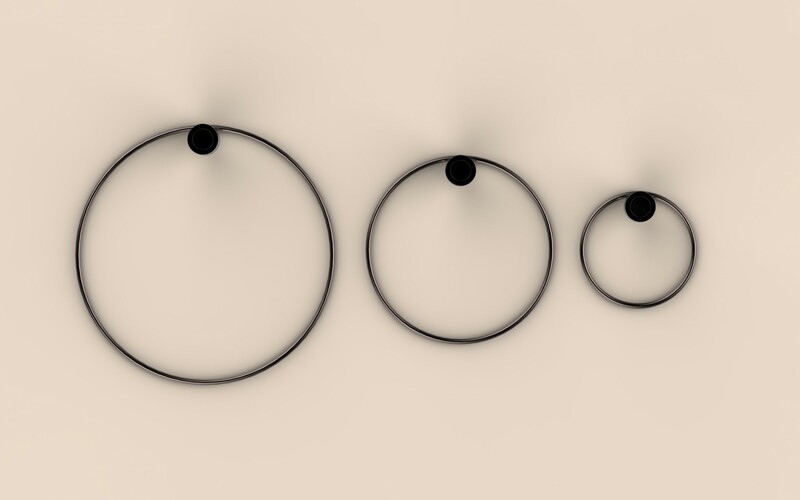 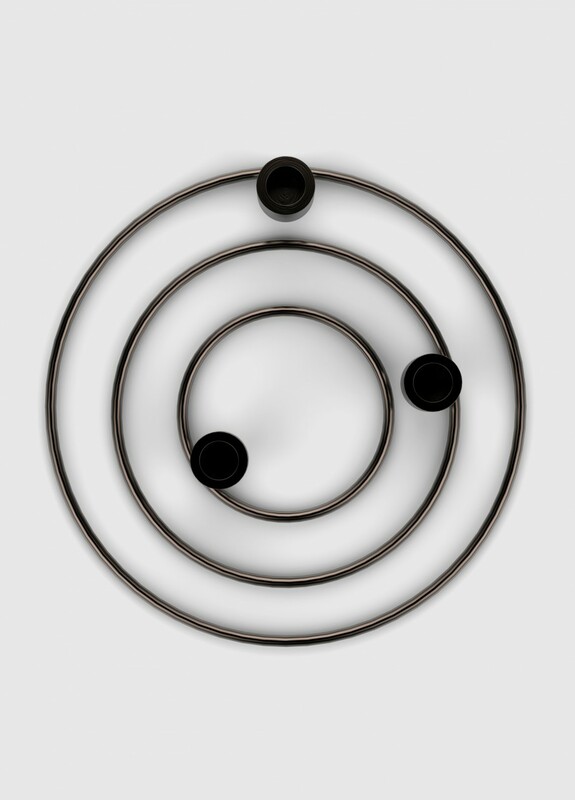 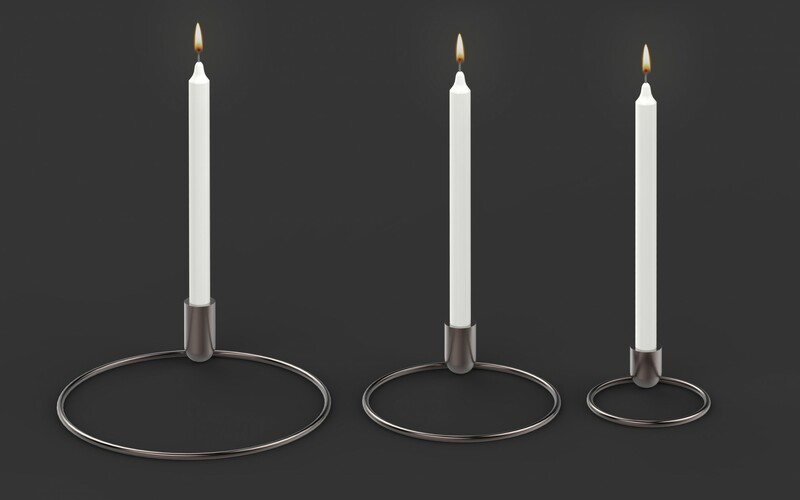 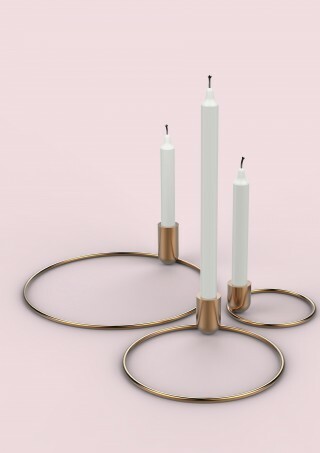 The ring that provides the stability to the candleholder, that would otherwise be unstable, is a representation of the movement of the planets in the galaxy. 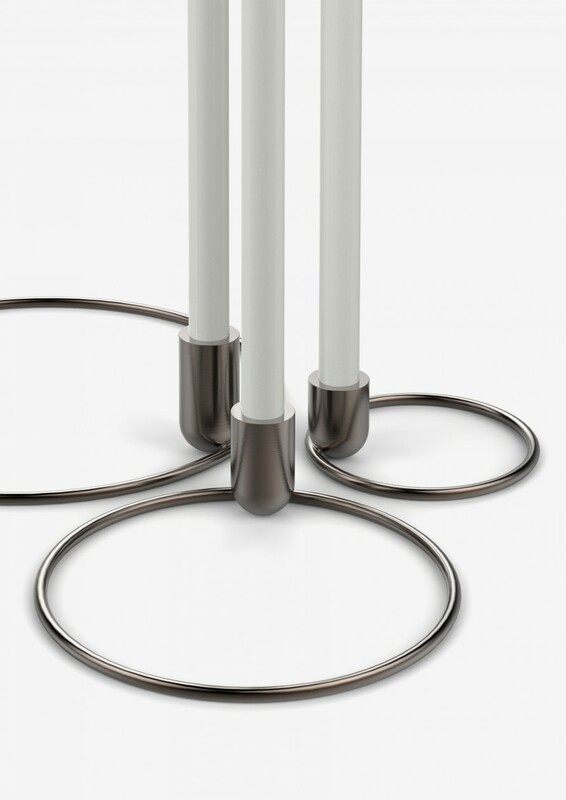 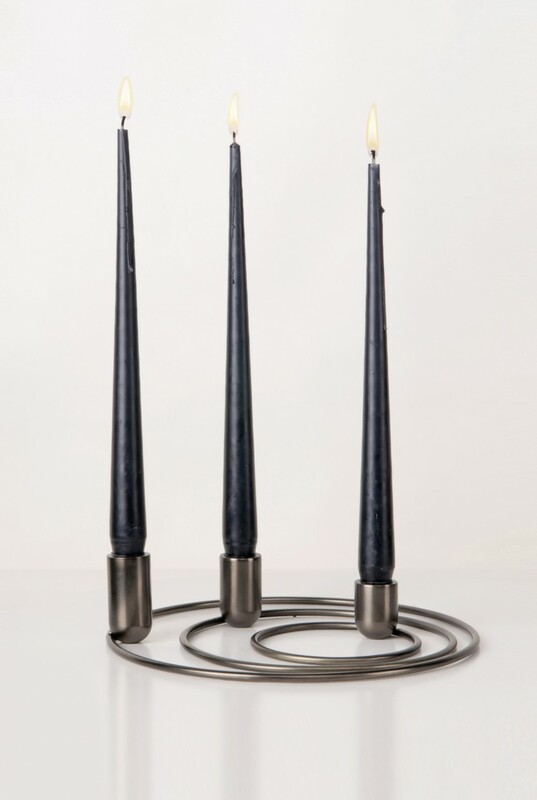 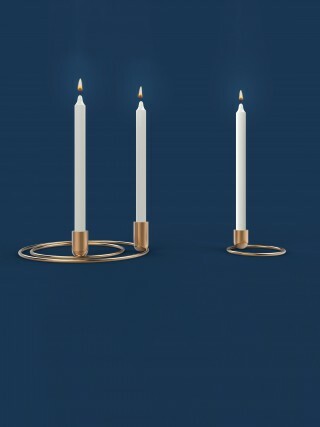 This impression of movement highlights the fact that the three candleholders are meant to have graphic and playful elements with which one can play with. They are designed to create interaction with the user and to give them the possibility to create all sorts of graphic combinations using the three different sizes. 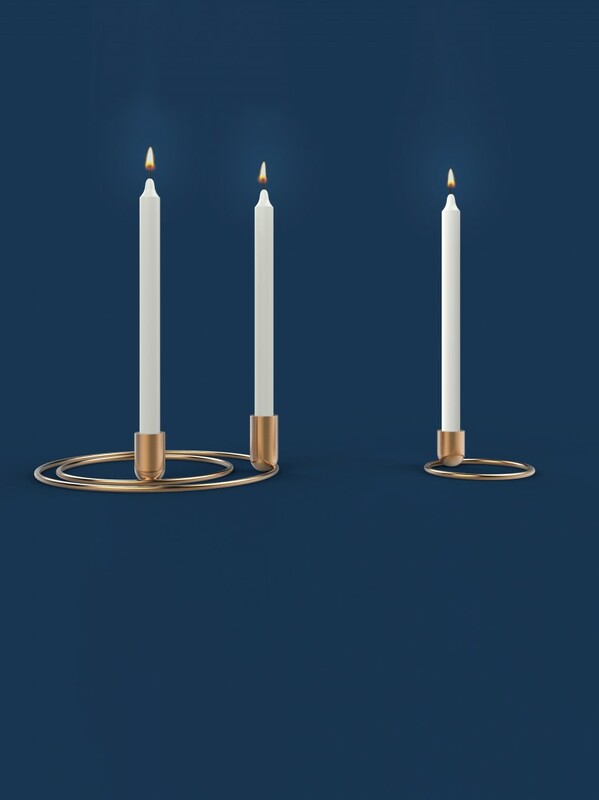 The Orbital candleholders are like a system that enables people to create their own designs, their tables-tops or cabinet tops are then transformed into a stage. 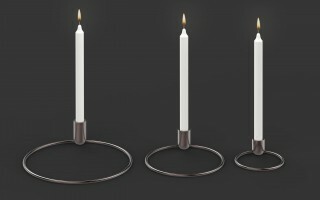 A large array of settings can be altered by either playing with the candleholders inside of each other, or one next to the other. 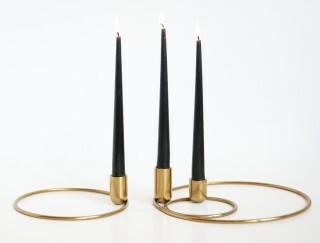 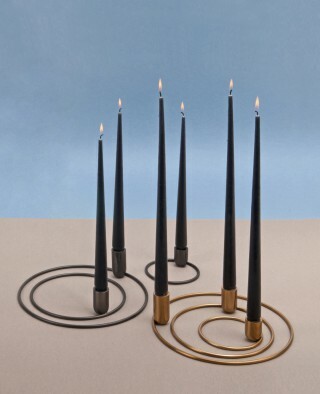 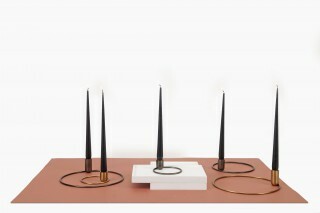 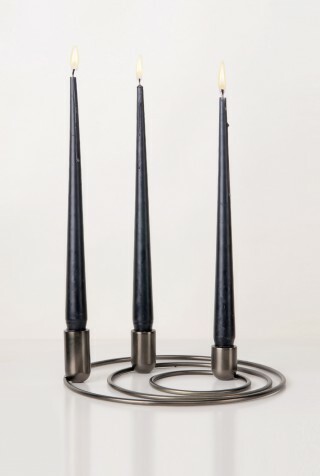 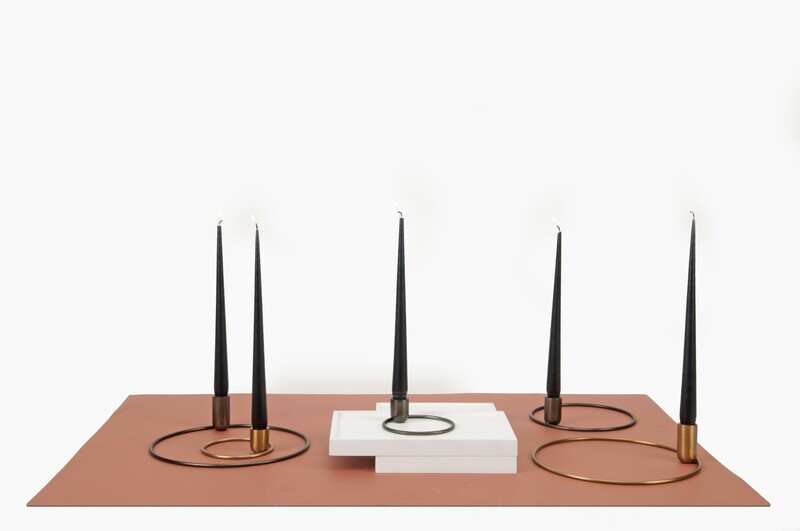 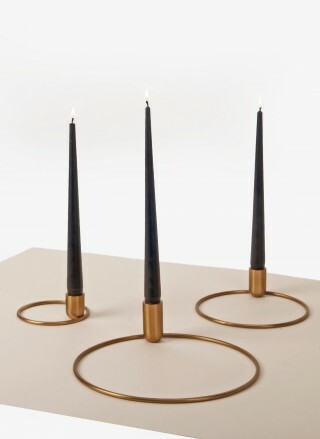 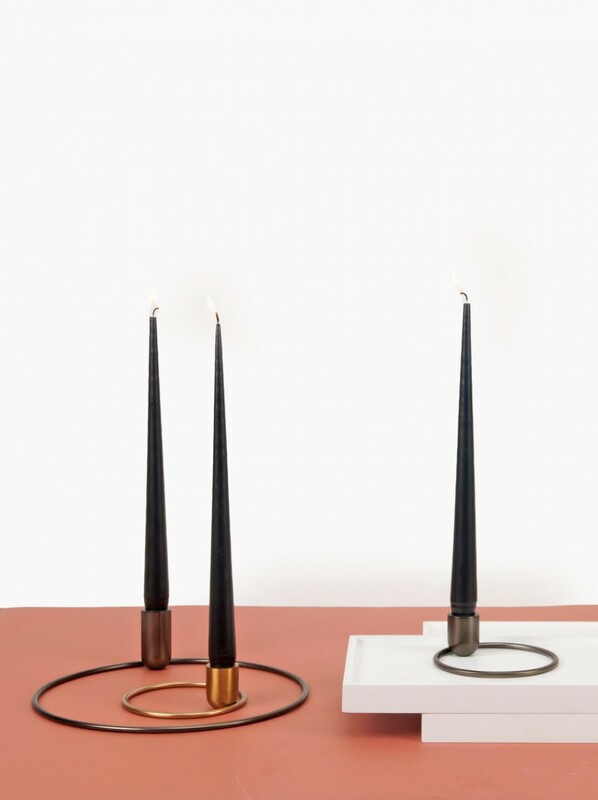 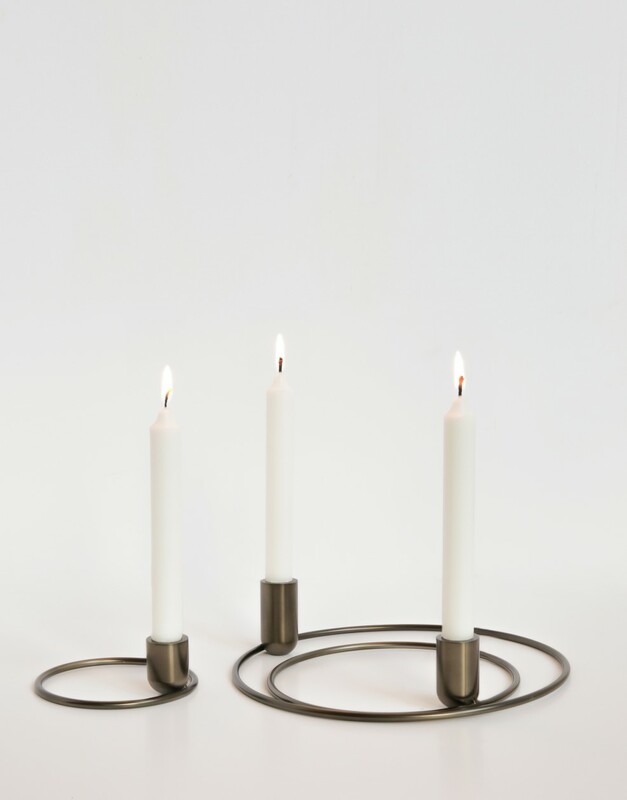 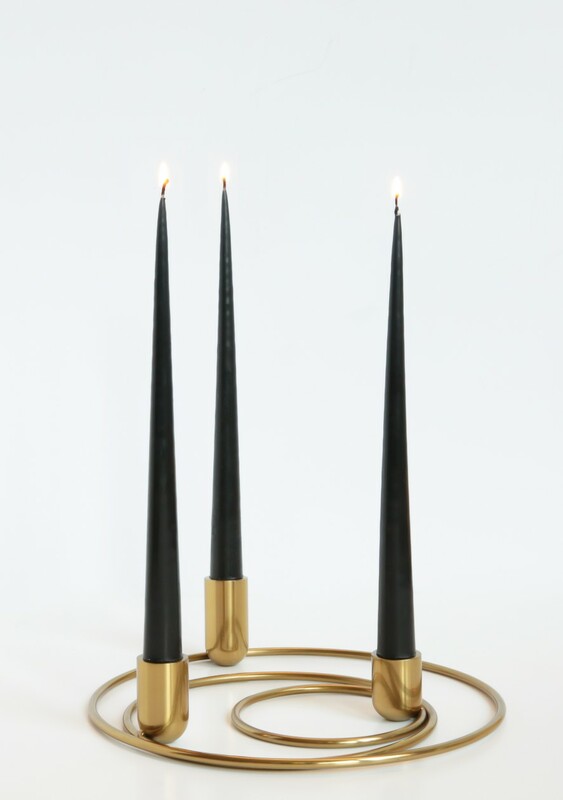 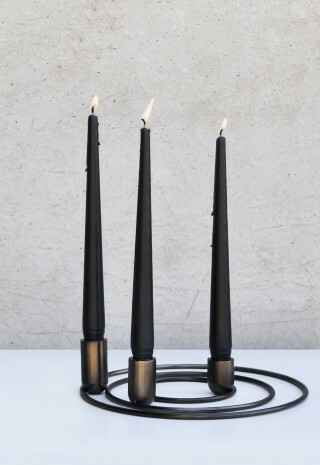 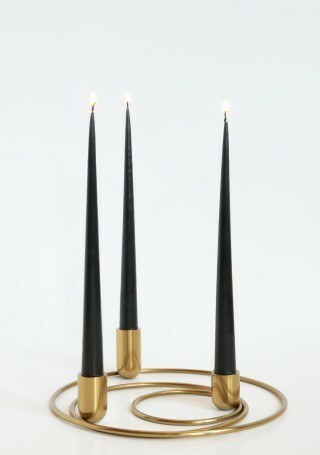 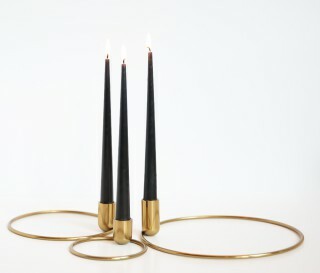 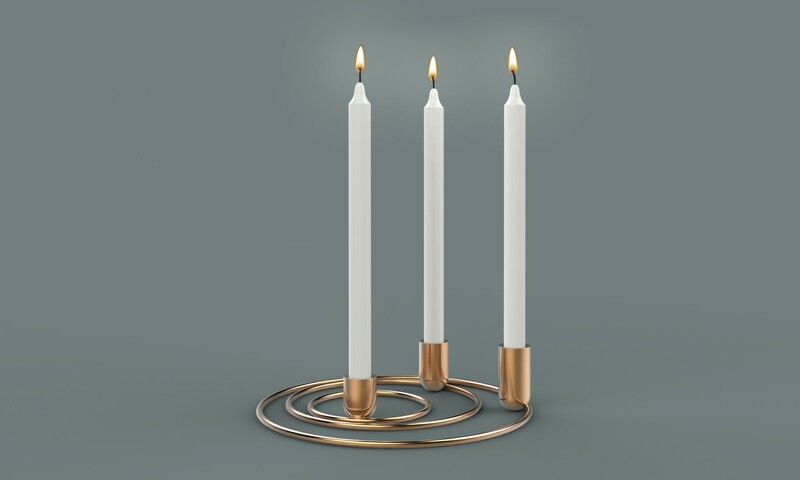 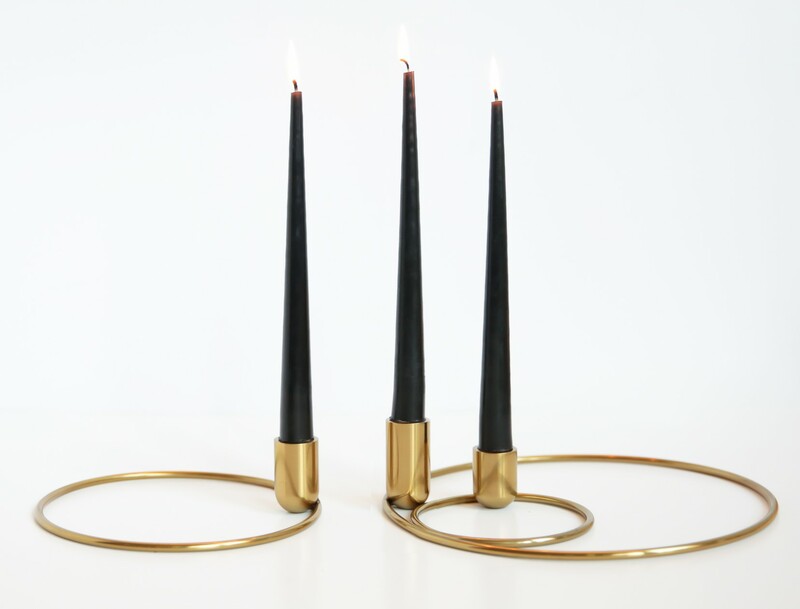 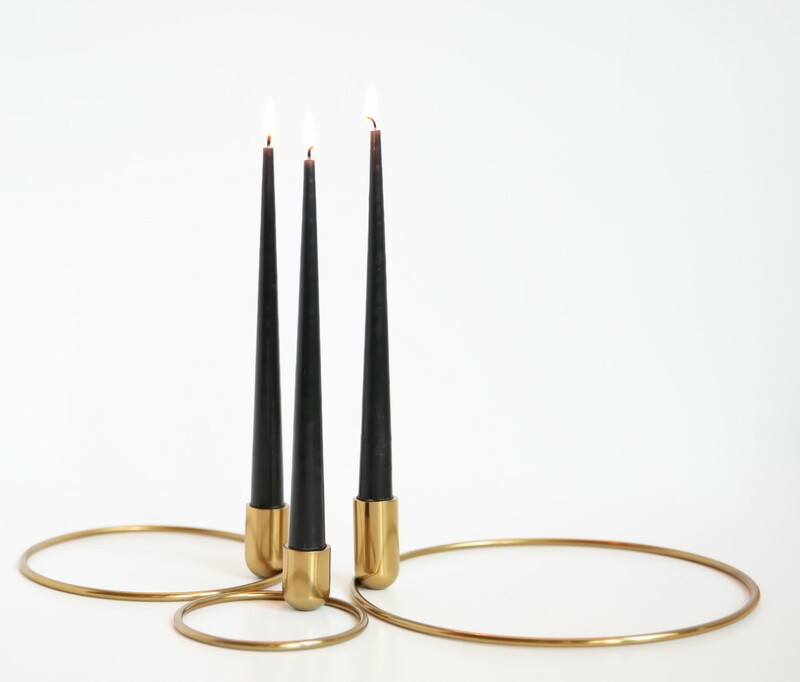 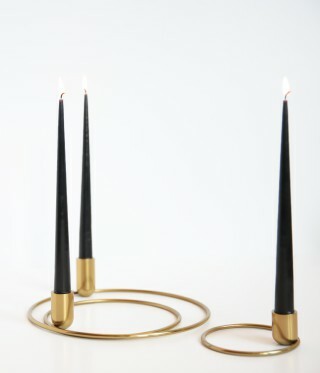 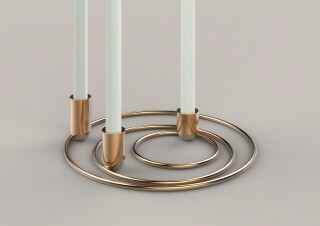 The way the base of the candleholder connects to the ring and the fact that it is placed on the edge of the ring creates an impression of instability; it challenges people perception of normality. But the balance is right and thus all the pieces are stable. 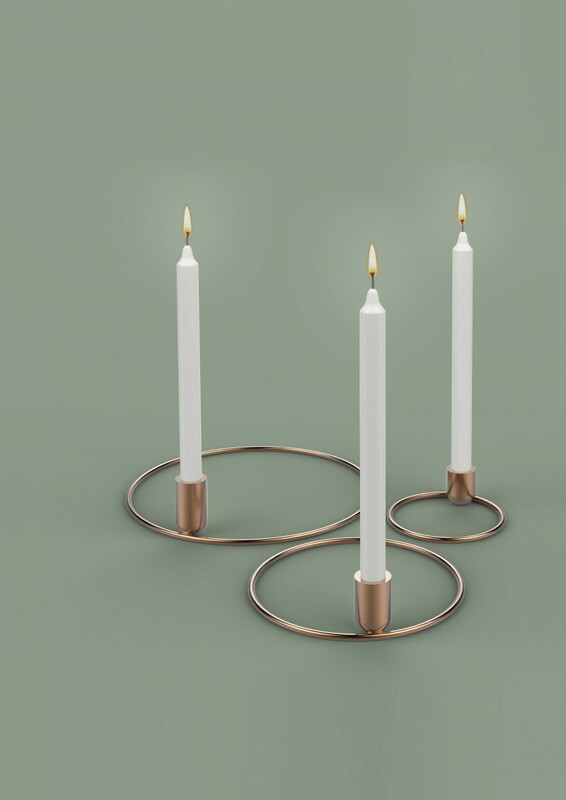 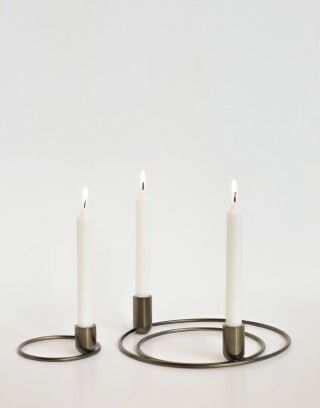 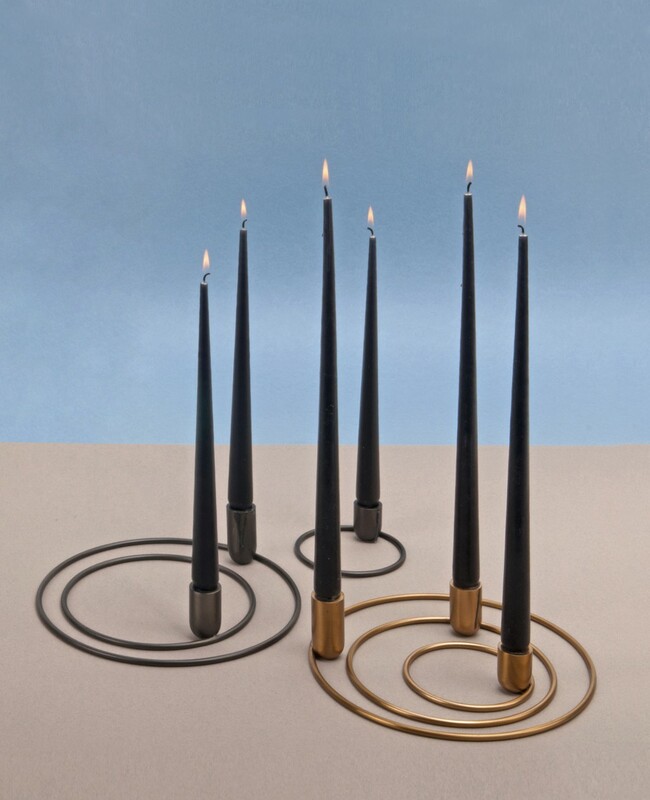 The general design of the candleholders also takes cues from the world of jewellery since at first sight they appear to be a set of minimalist jewellery pieces. 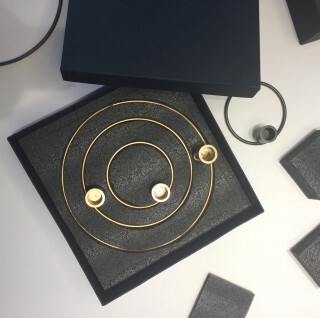 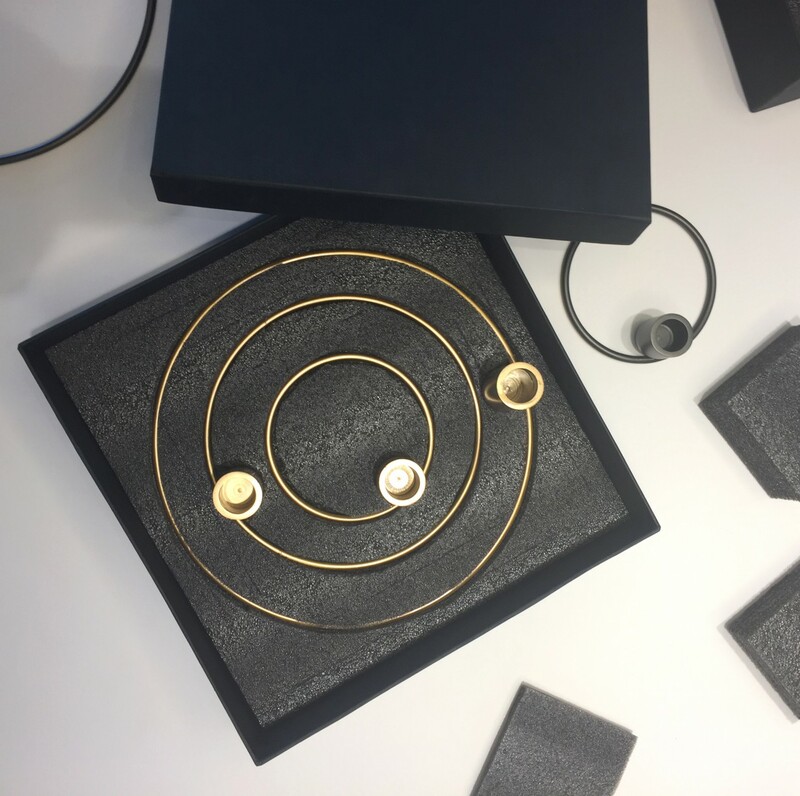 The black box and layout in the packaging further emphasises this impression, making the packaging an inherent part of the design and also allowing people to easily and safely store the pieces away when not in use, the same way that our grand-mothers use to store away their silver cutlery!